The Athlon Midas BTR is ready for anything. It is also is equipped with advanced multi-coating so you’ll have the brightest, clearest long-distance image possible, in any situation. The innovative new XPL coated lenses gives you “Xtra Protective Lens” coating that protects you lenses from moisture, oil, dirt and smudges. The super-fast side parallax focus makes certain you have the clearest image in the world when it matters most. The ultra-strong one-piece tube is hammer-forged from an aircraft aluminum alloy for more strength than standard aluminum, multi-piece scope tubes. The 6x magnification ratio eliminates the needs for multiple scope for different game or types of hunting. 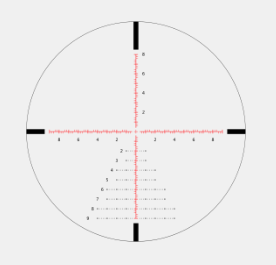 No need for multiple scopes for multiple types of game animals. Athlon Midas BTR 2.5-15x50 SFP APLR1 SFP IR MIL 30mm 41.8-6.8 ft 3.9" Exposed 13.8"